In the previous chapter, I looked at why phenomenal-consciousness must, by definition, repel all experimental testing. In this chapter, I want to explore an important consequence of this, namely “the meaning objection.” This objection asks how a qualitative experience with no detectable effects could ever be referred to by words or gestures. Bertrand Russell rightly argued that, without knowledge by acquaintance, linguistic descriptions can cohere yet fail to refer to anything in the world. Because similarity does not turn on proximity, I argue that a Peirce-inspired account of iconic reference can overcome this limitation. 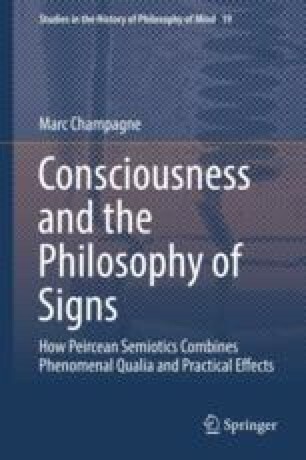 David Papineau has come very close to reconstructing such an account of iconicity, but I think that the lingering flaws in his account can be remedied by explicitly transitioning from Russellian philosophy of language to a more inclusive Peircean philosophy of signs.